Reserver Your FREE Tickets Now! FREE Admission, though Donations are greatly appreciated and encouraged! ​The first concert of our 20th Anniversary Season will feature two beautiful compositions by contemporary composers Paul Dooley and Masanori Taruya. 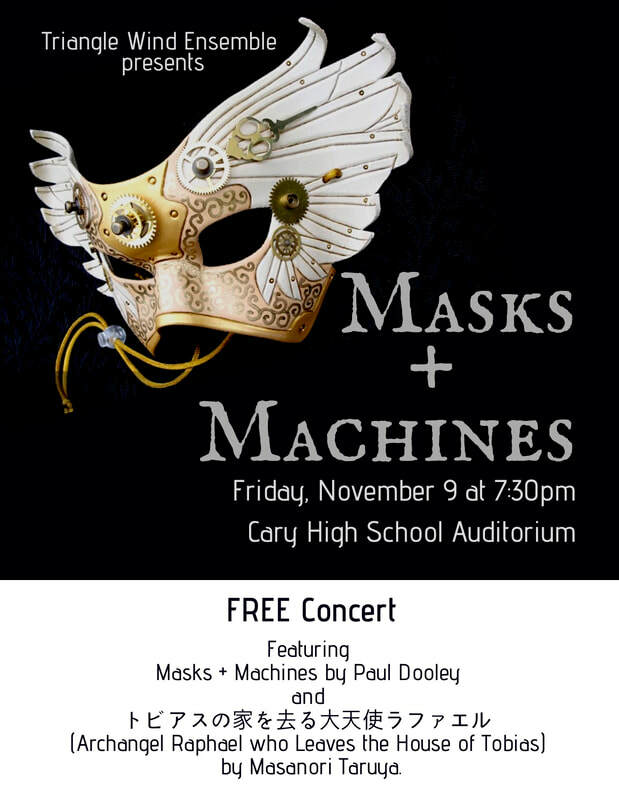 Dooley's Masks and Machines was composed in 2015 and was "inspired by the early twentieth century works of Bauhaus artist Oskar Schlemmer, and the Neoclassical music of Igor Stravinsky... Masks and Machines contains three contrasting character pieces featuring renaissance brass music, Baroque fortspinnung in virtuosic mallet percussion, lush oboe, clarinet and bassoon solos, and machine-like flute rips." 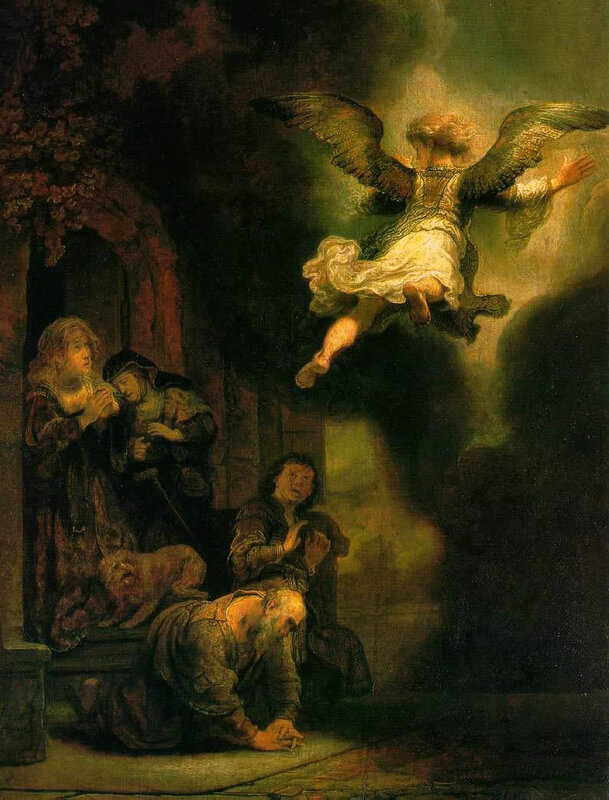 Taruya's composition, Archangel Raphael who leaves a house of Tobias (トビアスの家を去る大天使ラファエル), is also based on a painting, this time the 1637 Rembrandt painting of the same name, which depicts the story of the Archangel Raphael travelling with Tobias on a dangerous journey in which he is attacked by a large fish. Tickets may be reserved for FREE in advance online or obtained at the door starting at 7pm. Donations are greatly appreciated and encouraged! 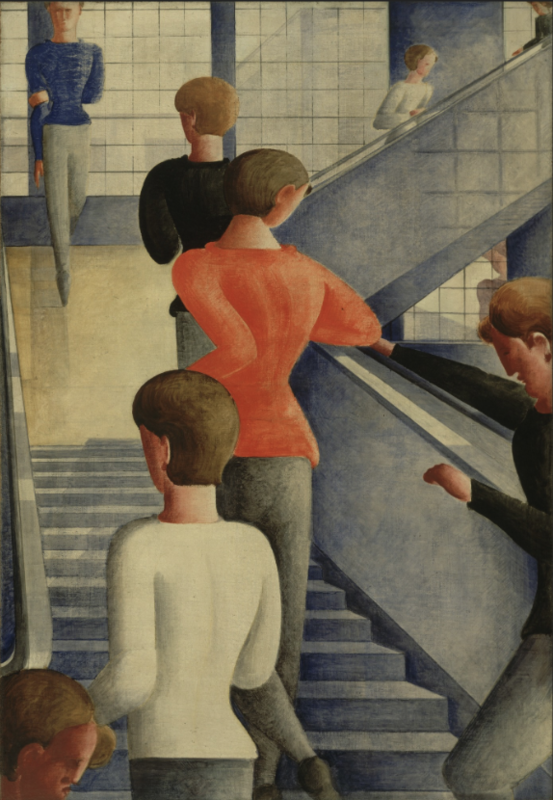 Bauhaus Stairway by Oscar Schlemmer serves as part of Dooley's inspiration in composing Masks and Machines. The Archangel Raphael Leaving Tobias' Family by Rembrandt inspired Masanori Taruya's composition of a similar name.